Updated: Feb. 13, 2019, 8:58 p.m. When entering The Spiced Brew, people are transported to the early 1900s, when apothecaries and Edwardian fashion thrived. The store first opened in June 2017, and is located at 2551 Limestone Parkway in Gainesville between Partners in Care Compounding Pharmacy and Medical Park Pharmacy. 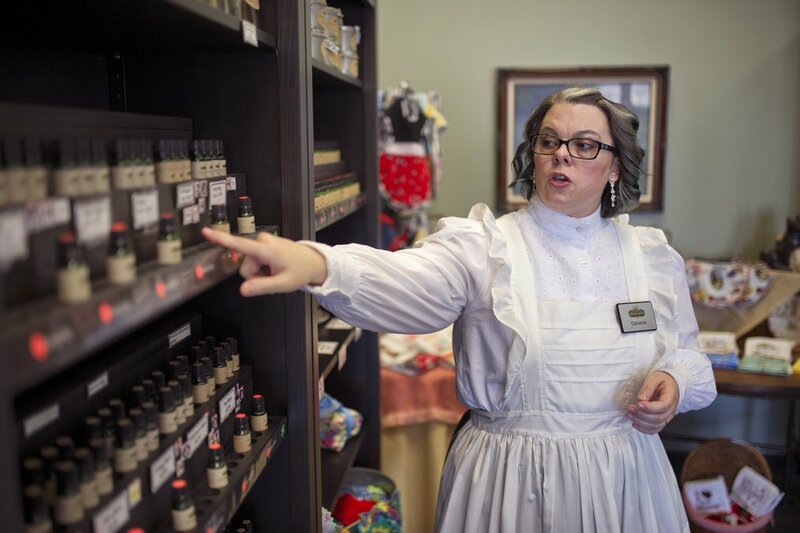 Danene Woody, the store’s owner, not only welcomes customers in her Edwardian-era garb, but she takes people on a journey toward finding their personalized aromatherapy. 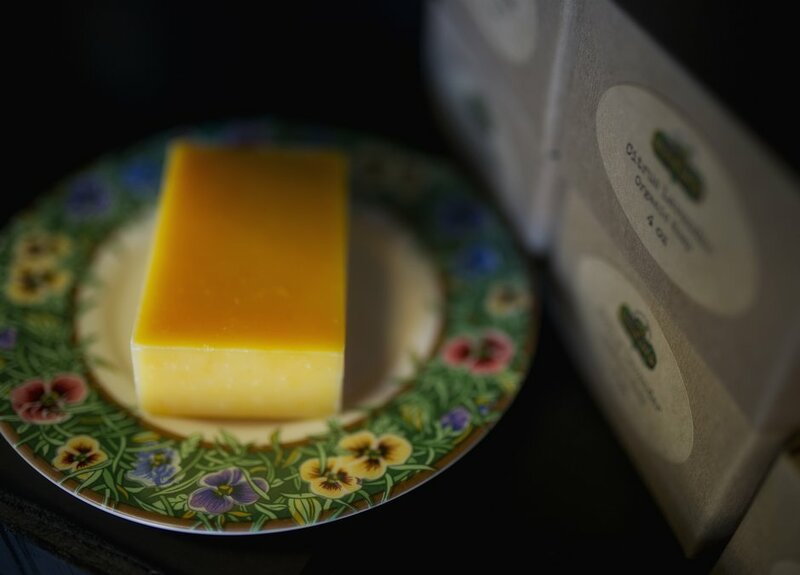 Woody has undergone hundreds of hours of training and takes her role as an aromatherapist seriously. 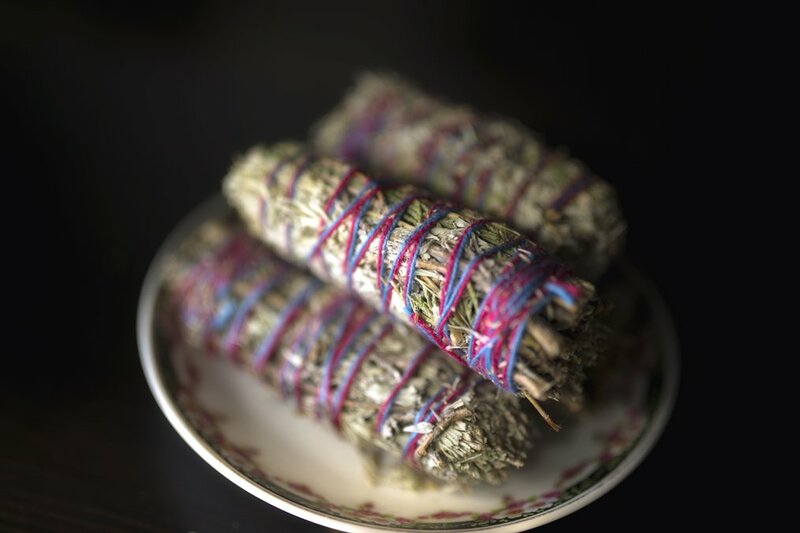 “The reason that The Spiced Brew is different is because as a certified aromatherapist I can ask a few questions of the client, have them smell a few oils and lead the client in the best direction for the oils specifically best for them as an individual,” Woody said. Woody spends time with each customer to find out their specific needs. For example, while lavender might help one person feel calm and relaxed, for another person, she said it could cause them to feel agitated. Woody said many places often leave out warning labels, but safety is a subject she takes seriously. For any essential oil that has a negative side effect — whether phototoxic or harmful to children — Woody makes sure to provide a warning label. 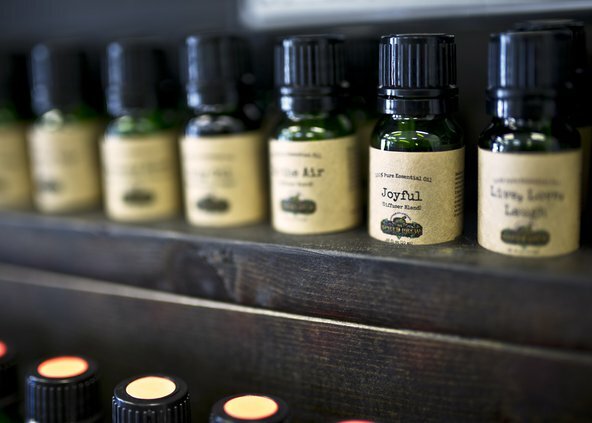 “Just because essential oils are natural, does not mean that you cannot harm yourself or others with them,” she said. Woody said one of the first lessons she learned while undergoing her training as an aromatherapist was that people should never ingest essential oils directly. Without the guidance of a medical professional, she said the practice proves dangerous. Woody said many people don’t understand how concentrated the oils are. For example, she said one drop of rose oil amounts to 50 roses. And while people can apply some of the oils topically with a carrier oil to dilute the substance, she finds the best method involves inhalation of the aroma. The store offers more than 50 single-note oils like bergamot, cypress, eucalyptus, lavender and peppermint plus blends Woody says can be used to relieve a variety of ailments. She additionally makes custom orders for those who want their own special mixture. Woody purchases her oils from across the globe, taking time to bottle and test every individual product. It’s much more than just filling bottles. Before Woody purchases her oils, she said each company must provide a gas chromatography-mass spectrometry sheet, a map of the chemicals within the aromatic plant. “With my chemistry training specifically in essential oils, I know exactly what chemicals should be in each oil along with the correct percentages,” she said. Woody said this action helps her identify any adulterated oils and it ensures that her clients receive what is promised. 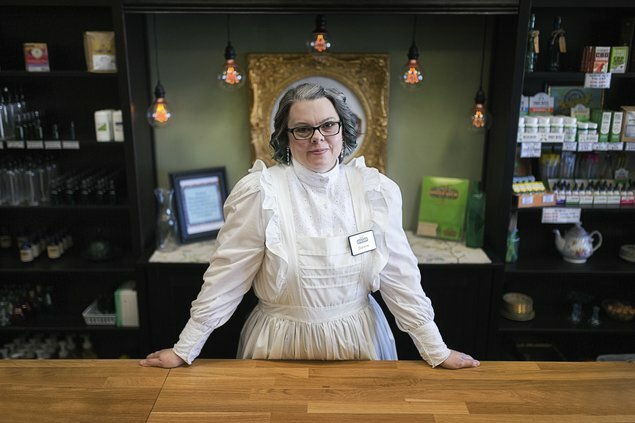 The Spiced Brew also sells cannabidiol, or CBD products, including products for pets, and many other items, such as organic soaps, diffusers, bath bombs and beard oils. For those who are skeptical about essential oil, Woody invites them to visit and trust their nose. For more information about The Spiced Brew visit www.thespicedbrew.com or visit the store’s Facebook page.